Note: If you've lost your Nominet login credentials, you can retrieve that information from Nominet using the email address with which you registered your domain. Transfers to GoDaddy Supported (details below)3. 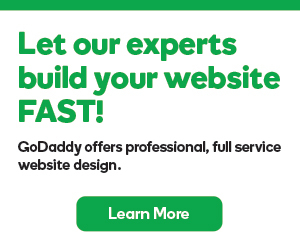 Note: GoDaddy provides live 24/7/365 telephone customer support for all inquiries, incidents, and issues. Most all are addressed during the call itself by our award-winning customer support team. When escalation is required, the majority of issues are resolved within 72 hours, but exceptions do occur depending on the complexity of the issue. Should you wish to escalate an issue, please ask our customer support team to do so on your behalf. Anyone can register .uk domain names on a first-come, first-served basis, but an address for service in the United Kingdom will be required for registrants who live overseas. This address must be listed as the admin contact for your domain name. This requirement does not apply for .co.uk and .org.uk domain names. For more information, see the registration rules for the new .uk domain extensions. Your .uk domain name renews before its expiration date. We attempt auto-renewal 15 days prior to the domain name's expiration date. If the renewal attempt fails, we re-attempt renewal 8 days prior to the domain name's expiration date and again on the domain name's actual expiration date. If we cannot auto-renew the domain name and you do not manually renew it before the third billing attempt, it becomes unmanageable in your account until it is renewed. The .uk transfer process is unique to the Nominet registry. Purchase a .uk transfer for $0 on our website. The .uk transfer does not include a free one-year extension because the transfer is free. Contact your current registrar and request an IPS tag change to GODADDY. Once updated, the transfer completes immediately. When you complete either of the steps above, we will send an email to the registrant contact's email or to the account holder's email address. You must follow the instructions listed in the email to initiate a .uk transfer. A specific request to transfer the domain name. Include the full domain name in the request. The IPS Tag name of your new registrar. Note: Nominet issues a case-sensitive IPS tag to each registrar approved to manage .uk domain names. Transferring a .uk domain name requires an update of the IPS tag information. Account validation information (customer account number or user name and your Support PIN). Private registration is currently available for the co.uk, org.uk and me.uk extensions of the .uk domain, but the privacy address shown on the account will be a US address. When you move a domain name, you cannot change the registrant first name, last name, and company name. Note: You will need to cancel Private Registration prior to a change of account. You can update all contact information directly through your account. See Change domain contact information for more information. Note: During the verification process, the domain name request is assigned a status code of 254 (".UK Data Validation Process"). For more specific instructions regarding the .uk contact verification process, please see Verifying Contact Information for .UK Data Validation Process. Only one IPv4 address is allowed per host and also only one IPv6 address. It is however possible to assign an IPv4 and an additional IPv6 address to a single host. We support DNSSEC for .uk, .co.uk, .me.uk, and .org.uk domain names. See Manage DNSSEC for my domain for information on enabling DNSSEC for your .uk, .co.uk, .me.uk, and .org.uk domain names and About Self-Managed DNSSEC for information on the digital signature (DS) fields required for it. You can configure a maximum of ten DS records for your domain names. Note: You can contact us at ukverify@godaddy.com if you have further questions or concerns about .uk domains. Nameserver updates can take up to 5 days to complete. Per Nominet requirement, only the registrant can cancel the .UK domain name. You should only cancel a .UK domain if you are sure that you no longer need it. Once you submit the request it cannot be reversed. Once submitted for cancellation, the .UK domain will be removed from the registry on the day of cancellation at some point before midnight. At this point, the .UK domain name will be available for anyone to register. To submit a cancellation request please log into Online Services.